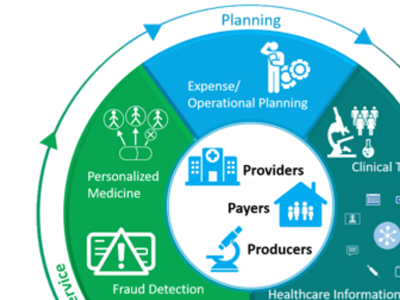 Watch this webinar replay to learn how IBM is helping healthcare organizations manage costs, innovate and improve patient outcomes by delivering a single analytics platform with AI capabilities for the healthcare care ecosystem (payers, providers and producers). The growing value of integrating data analytics in the healthcare industry. How your healthcare organization can benefit from infusing AI into your business intelligence solution. How you can accelerate value with a single analytics platform from IBM. A deeper dive into the all-new IBM Cognos Analytics 11.1, driven by AI. We showcased some of the exciting new features that are part of this latest release.